I’ve had raw truffles on the brain lately so I figured that was my body’s way of telling me to make some. 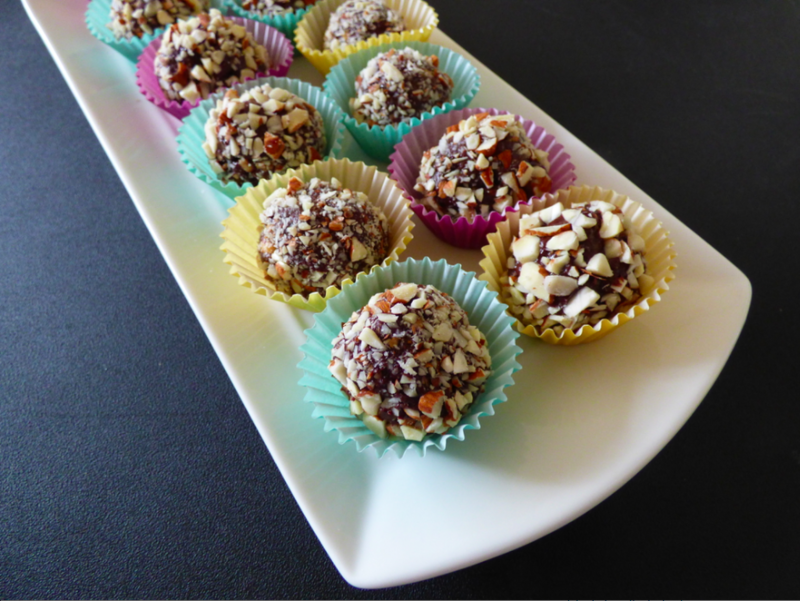 You should ALWAYS make your own raw truffles. You don’t need a food processor or a high powered blender. Most health food stores carry the specialty ingredients (or you could order them online). 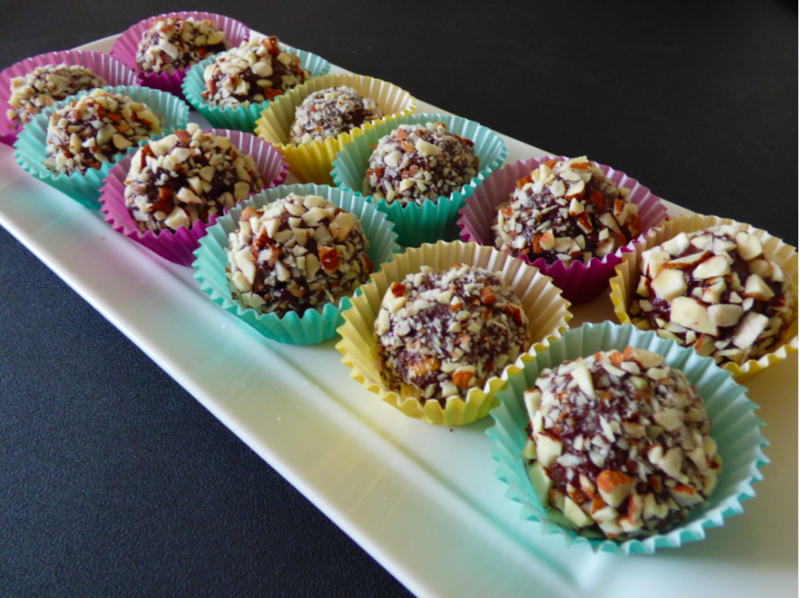 Store bought raw truffles are ridiculously expensive – I’ve seen them sold for as much as $8 for a four pack. 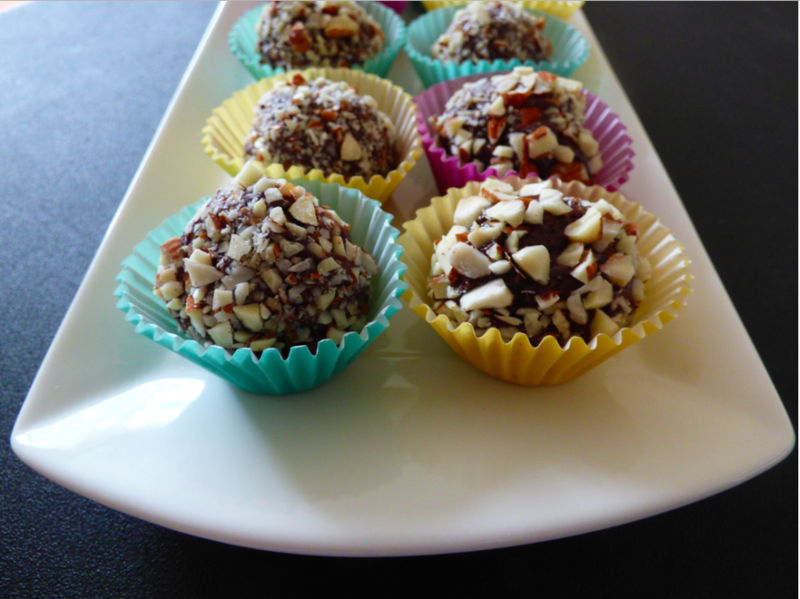 The best part about making your own raw truffles is that you can use any ingredients you want. For instance, most raw dessert recipes call for agave but I prefer maple syrup or honey. Raw honey provides a great pre-workout energy boost. It’s a powerful antioxidant that promotes digestive health, strengthens the immune system, eliminates allergies, calms the nervous system and can help stabilize blood sugar levels. If you’re going to eat dessert then make it count. 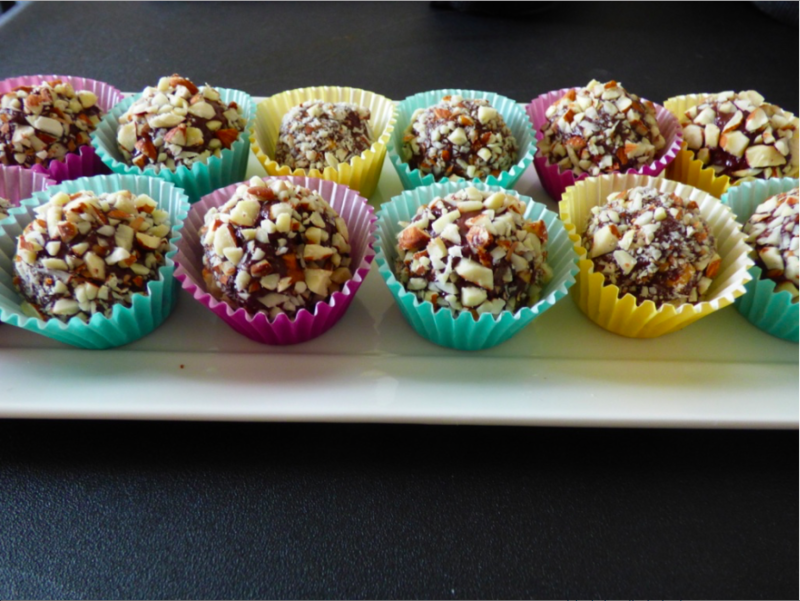 I use raw cacao in no-bake chocolate desserts because of the incredible nutrient content. Cacao is one of the most antioxidant-rich foods on the planet. It’s high in fiber, magnesium and iron. It contains the alkaloids theobromine, phenylethylamine and anandamine – three natural mood enhancers which make you feel like you’re in love. Like raw honey, raw cacao is considered to be the food of the gods. I used peanut butter but you could use any nut butter – almond, hazelnut, or sunflower seed (if you’re allergic to nuts). Tip: If you have a little extra coconut oil on your measuring spoon give your sun-kissed skin a treat while you’re making these. Place all ingredients except for the chopped toasted nuts into a medium bowl. Blend with a wooden spoon until combined. Transfer to a glass tupperware container and chill for at least an hour. Place chopped nuts in a small bowl. 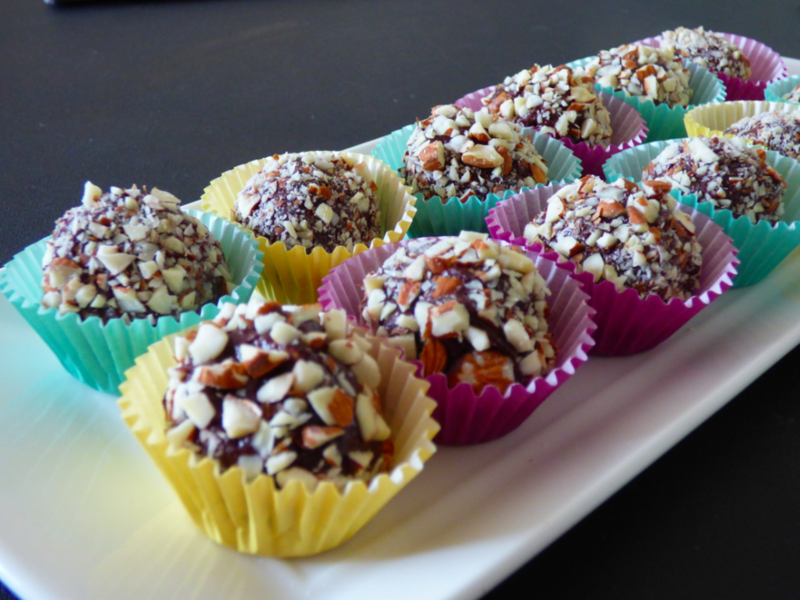 Using your hands, roll truffle mixture into large marble-sized balls. Roll truffles in the chopped nuts, applying gentle pressure. Store unused truffles in the fridge.